Hands up who loves fresh Summer corn??? 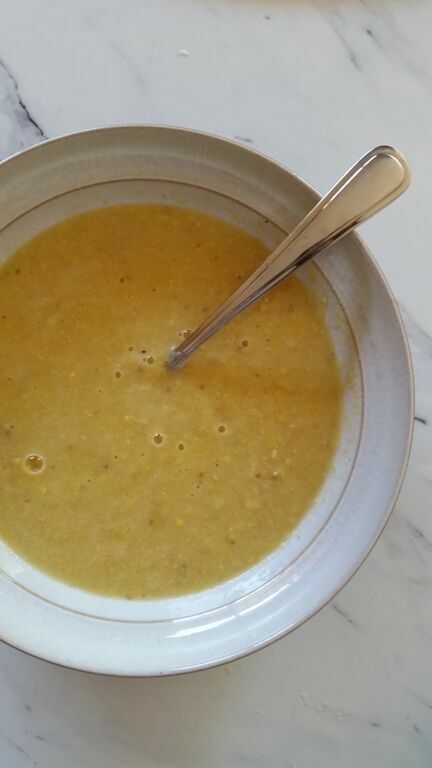 I love how amazing this soup turned out & I credit it to the amazing local corn I picked up from my fav farmers market. If you don’t have fresh corn the canned version will do, but I definitely recommend taking advantage of using fresh while it’s in season. Serve as an appie or as a meal in itself, this soup is hearty & filling, perfect to make ahead to freeze & enjoy in the cooler Fall & Winter months. If you have the time, it’s worth it to allow it to cool & let the flavours come out over night before blending into a chowder. Added bonus: whip this up in the slow cooker to enjoy as an easy meal after a busy day of work. Yum! 5. Combine all of the soup & re- heat if necessary. 6. Serve & enjoy! (would be delicious served with a nice salad in the Summer or roast ham in the Fall/ Winter.